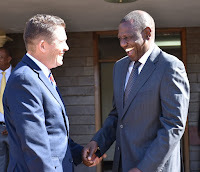 Home / County Politics, News / DONALD TRUMP does not care how Ruto has stolen-See what new US Ambassador to Kenya said in front of DPP NOORDIN HAJI that has irked Kenyans? DONALD TRUMP does not care how Ruto has stolen-See what new US Ambassador to Kenya said in front of DPP NOORDIN HAJI that has irked Kenyans? 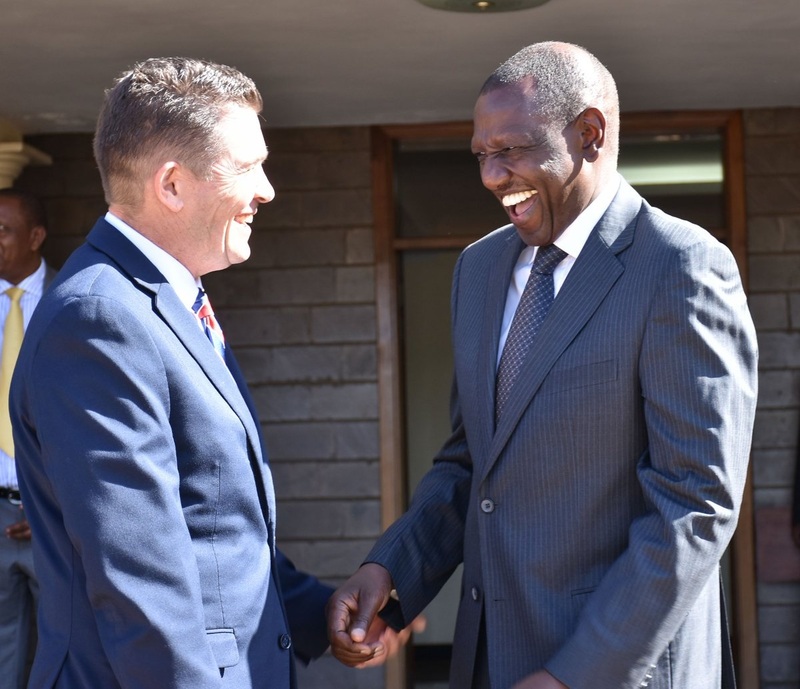 Wednesday March 27, 2019 - New US Ambassador to Kenya, Kyle McCarter, has indicated that he will continue working closely with Deputy President William Ruto despite the damning graft allegations levelled against him. Addressing a Press Club meeting organized by the Kenya Editors Guild and graced by DPP Noordin Haji, McCarternoted that he needs people like Ruto to achieve peace, safety and prosperity for both the US and Kenya. "Besides if I only worked with perfect people I would be very lonely, staying at home every day with my imperfect self," Ambassador McCarter quipped. McCarter’s remarks have left many Kenyans questioning his integrity and the US’ commitment in helping Kenya end corruption for good. the USA knows a zombie who pretends to be clean yet he and they are the baggage in Kenya and abroad. The DP should not be treated as the escape of vampires and zombies of mt Kenya and those who vote for a mchawi.